Multiple elements can define a home’s curb appeal. Many homeowners make the mistake of focusing on investing in and beautifying a single element, leaving the rest poorly maintained. This commonly leads to a messy outcome that further degrades the value of a structure’s exterior aesthetics. Harmony among all the elements is essential in turning your property into an enviable sight to your neighbors and random passers-by. It also signals the rest of the community that your home is well taken care off and highly secured. Your home’s façade alone already consists of various elements: the front door, windows and shutters, walls, roofing, etc. It is therefore necessary to harmonize all the elements within and outside this category with everything else. Come up with a united theme for your home’s façade and, from there, determine the appropriate color combinations, patterns and materials that you can mix and match to make the concept work. Regularly clean the walls, front door, windows, shutters, etc. A scrub and a soap-and-water mixture should do the trick. Paint jobs can be among the most affordable exterior home improvement projects that you can embark on. Before painting, make sure that the surfaces are thoroughly cleansed. When applying a new coat to your front door, choose a shade that makes that element stand out. Pick a neutral wall color to make it easier to find other colors for your doors and shutters that match well with the former. Aside from the color, the material textures and patterns used also contribute to the curb appeal. Make sure that textures and patterns present on your walls also complement those on your home’s roofing. Keep the gutters and drainage areas unclogged to prevent the accumulation of excessive moisture that can damage the structure of your home. 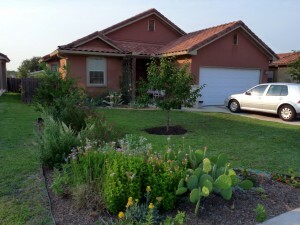 Your front yard plays a significant part in leveling up your home’s curb appeal. If you have a particularly large yard, you may have a lot of planning to do in order to get that certain area in good shape. A dry, barren-looking land can be a turn-off to many spectators. If you’re having difficulty deciding what you want to build in your yard, consider planting some grass seeds to keep the area green. Keep the grass from growing more than necessary through a mowing routine, and keep your lawn clean by clearing away fallen dried leaves. If you’re not up for the task of maintaining an entire lawn, opt for a more low-maintenance garden with easy-to-grow flowers and vegetables. A tree is an ideal addition if you have enough space for it. Make sure to plant it where it wouldn’t mess with your roof or reach into your second-floor windows once fully grown. Bushes can either make or break your yards reputation. Make sure that these elements are well-trimmed and are at ideal heights. 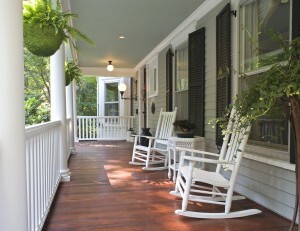 Not every home has a front porch but if you do then you better make sure that it’s always looking its best. Some like to customize this area to make it look like an outdoor living room. If this is also your goal, come up with a design that makes it a welcoming venue for your guests. Match the design of the porch to that of the main structure. 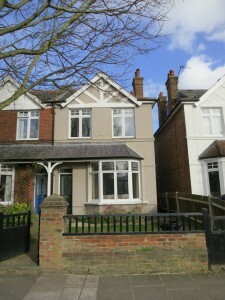 It should look like it is part of the house and not an impromptu addition. Position some comfortable and durable furniture pieces – those that are moisture- and heat-resistant – and let them serve as relaxation and entertainment spots for your family and your guests. Don’t let this space become too narrow or crowded with various objects that it becomes unusable. Regularly clean this area and keep the gaps between the boards and flooring clean and clear. The path walk and the entryway are the parts of the home exterior that guests mostly come into contact with. That’s why, coming up with an ideal design for them should be given sufficient effort and time. In modifying these elements, a homeowner must have comfort and convenience at the top of his concerns. Make sure the pathways are clear of various obstructions – rocks, dried leaves, lawn tools, etc. The materials for the path should be stable and comfortable to walk on. Create a defined boundary between the walking path and your lawn or garden using flower boxes, potted plants, bushes or rocks. Have a pathway that leads directly to the entryway or front door, and others that could lead to other parts of the house – the garden, backyard porch, tree house, etc. This may be a bit obvious, but do make sure that the entryway is wide enough to let a person of any size in, and that it is inviting in every aspect – from the “WELCOME” doormat to the assistive lighting. 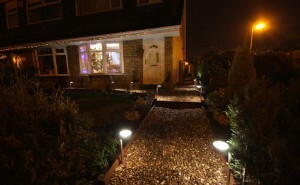 Maximize your property’s appeal by highlighting it even during the night. Installing sufficient and beautiful lighting does not only make your home aesthetically pleasing but also serves as an extra security measure. Place some by the entryway and the porch to brighten the area at night and others at the start of the walking path from the curb to illuminate the way for the users. There are many other elements that you can add to your home’s exterior to improve its appeal to your neighbors and guests. Some may not seem necessary but will definitely make your home look more cared for. 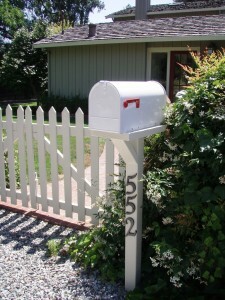 Invest on a mailbox that’s perfect for your home’s design. Make your house number as visible as possible. Find a customized door that best describes your home. Build a fence to provide additional security.